Linear Sentiments is one of my new favorite stamp sets from The Angel Company! 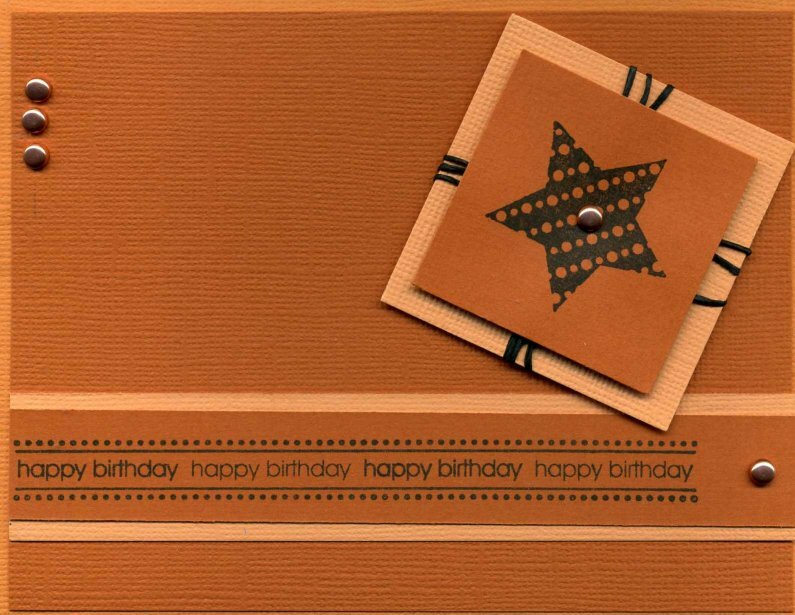 This birthday card was made from Monochromatic Oranges cardstock, Black Scrappers Floss. Palette Noir Ink, and brads.